The M4600 and M5600 appliances serve as the “hub” appliance which manages and secures all communications between the headquarters and all remote employee and smaller sites. WatchGuard Dimension is included with all WatchGuard appliances at no extra cost provides a suite of big data visibility and reporting tools that instantly identify and distil key network security threats. 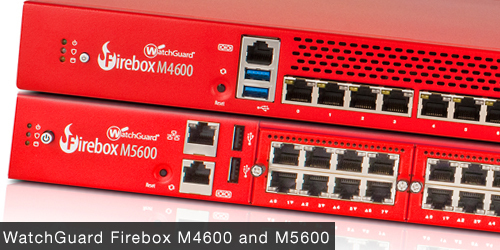 The Firebox M4600 and M5600 also allow you to add network interface modules that best suit your environment.